VirtualMetric is happy to announce the latest feature we added to our real-time infrastructure monitoring suite – Log Analyser – Log Analysis and Log Monitoring tool. Nowadays, every event inside your infrastructure must be logged – either due to the requirements of your own business or due to security and compliance requirements. System engineers want to know everything happening within their servers, virtual machines, virtualization, and applications, but this result in having tons of data to analyze. Managing and understanding the logs manually if you are a small organization can be acceptable. But for enterprises, banks, financial organizations, SaaS providers, governments or global corporations, a log analysis and log monitoring tool is the key for fast troubleshooting and Security Information and Event Management (SIEM) compliance. More and more enterprises are facing outages and bunch of security threats. In the world of virtualization and cloud, having a monitoring solution is essential to keep your environment healthy. In case of attack, outage, low performance or infrastructure issues, analyzing the logs is the first step to understand the source of the problem, verify events and find the reason for the unusual system behavior. 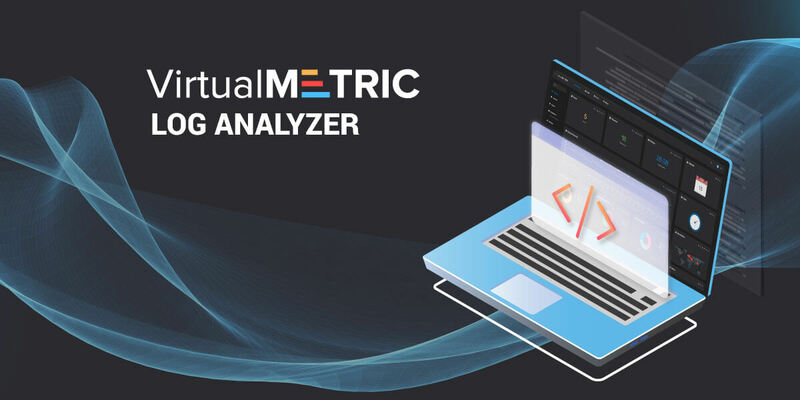 VirtualMetric Log Analyzer is one of the must-have features for the advanced monitoring of your environment. The reason for this is that thanks to the Log Analyzer, you can make data and event correlation at that point in time, in which the problem occurred. Monitoring the logs and logs analysis is the key for any IT team to identify misconfigurations, unwanted changes, intrusion attempts or low system performance. By the use of the log analyzer, you ensure the smooth work of your infrastructure and application and improve the customers’ satisfaction, increase the revenue, strengthen the security against attack.